While you have heard from many pundits, and we have given you our On-Air On-Soaps picks for the Daytime Emmys on our predictions page, it’s time for you, our loyal soapers, to get a chance to cast your vote for which of the nominated daytime drama series you would like to see win tomorrow! So, if you were a blue-ribbon panel judge, who would you choose from the four nominees? 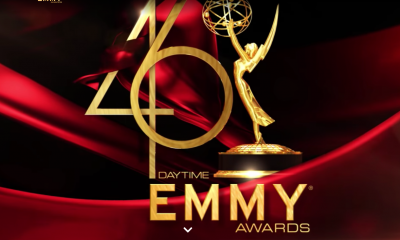 So after the jump, check out our Outstanding Drama Series Daytime Emmy Poll. You can only cast one vote from one IP address, so make it count! The balloting will continue this afternoon through to Saturday morning, June 23rd at 10AM PST time. So before we head out to the red carpet, we will let you know who the general consensus has chosen as the soap they would most like to see win the gold! And if you feel inclined, let us know why you voted how you did in our comments section below! Ok this one breaks my heart because One life to live should be here, that of course would be my first choice but it’s not, I would like to pick all my children because I miss it terribly and this is the last year but I really don’t think the stories were that great, last year and we got cheated out of a ending, so I am picking general hospital to win, aside from the mob there were a few interesting stories going on in Port Charles. 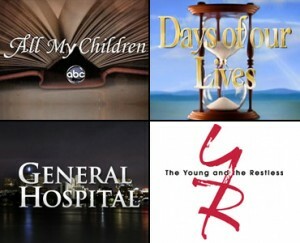 I have to say All my children and General hospital, But when I voted it was General hospital. 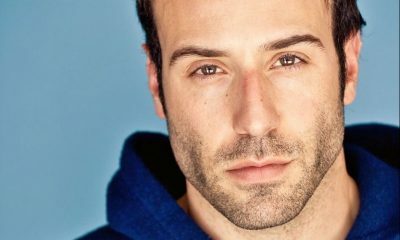 General Hospital NEEDS to win as it is on life support. Understand and respect your feelings, but it least it is still on the air. It did not get skewered like AMC. Not Days. Those idiots underused and then tossed their best actor and character in Matt Ashford/Jack. They also had a wonderful idea for rebooting the show, and then completely failed on the execution, when it shouldn’t have been that hard to do so much better with it. And now they’ve decided to head right back to what stunk before the reboot. I wish the British soaps were on the ballot. THAT would be interesting. It would be even MORE interesting if we could watch British soaps instead of American talk and reality. ONE LIFE TO LIVE. It’s nothing but insulting that this show was not included in the category. It just proves these awards are a sham. Long live ONE LIFE TO LIVE. Since you asked, I WANT OLTL, but write-ins aren’t possible, or are they? General Hospital so deserves it. I hope they win this year. Judging from the episodes so far in this “new season”, it doesn’t look good for next year. General Hospital. The episodes they submitted, Jake’s death and Luke’s intervention, were fantastic shows that were well acted, well written, and well produced. They should win. All My Children. I have watched that extraordinary show for the full 41 years and I am grateful for every moment it has been on the air. However, I know that the decision tonight is based only on two episodes submitted. My understanding is that they were the last two of the show’s tenure. They were excellent.. Yes, Gh has sent some good episodes too. But they will have another year. My heart and my vote goes to AMC!!!!! THE YOUNG AND THE RESTLESS has my vote! They didn’t get to be a nominee on accident, folks. Consistently the number one rated daytime television show for a record breaking amount of years. Consistently has the best production values, best writing, best ensemble cast, best music, lighting makeup and hair. It’s set the standard for every other show (that’s left). It’s already won in my book! Oh god, it’s gonna be GH! Would love to see AMC win to end their final emmy year!! OLTL should win but I went with Y&R. GH was terrible before the new regime took over.